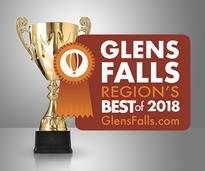 Glens Falls Region's Best: Vote For Your Favorites! Every year, GlensFalls.com runs the Glens Falls Region's Best survey competition! Everyone is welcome to cast a vote for their favorite business or attraction in a variety of different categories. Those with the most votes when the surveys close are named Glens Falls Region's Best for that year. Browse the features below for the most recent results, and keep your eye out for next year's voting to open. The votes are in! Find out who was named to the 2018 Glens Falls Region's Best. Voting is now closed for the 2018 Glens Falls Region's Best. Check out this year's results, and keep an eye out for next year's voting to open. Is your business in the running to be among the best? Check out our promotion tips to help you get more votes!